Contest ended on March 15, 2011. To all those who participated in writing excellent essays on farming! We are posting a contest for anyone to enter (That means any age, any person). 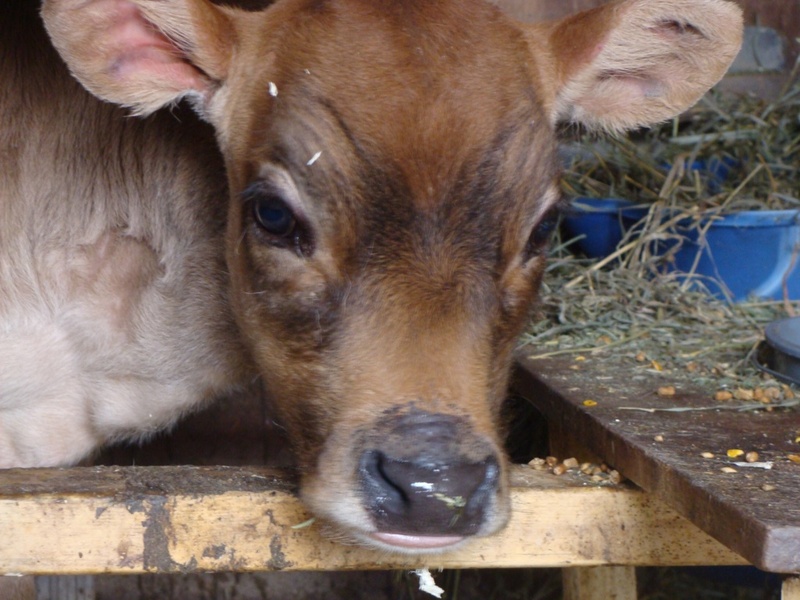 The WINNER of the contest will become the new owner of our most recent born calf, a heifer by the name of AMETHYST! Amethyst was born December 31, 2010. Contest rules: Contest ends on March 15, 2011. 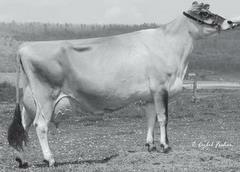 Winner of the contest must pick up or arrange for hauling of the calf, at their expense, within 30 days. Any additional testing needed for transport will be at the expense of the winner. 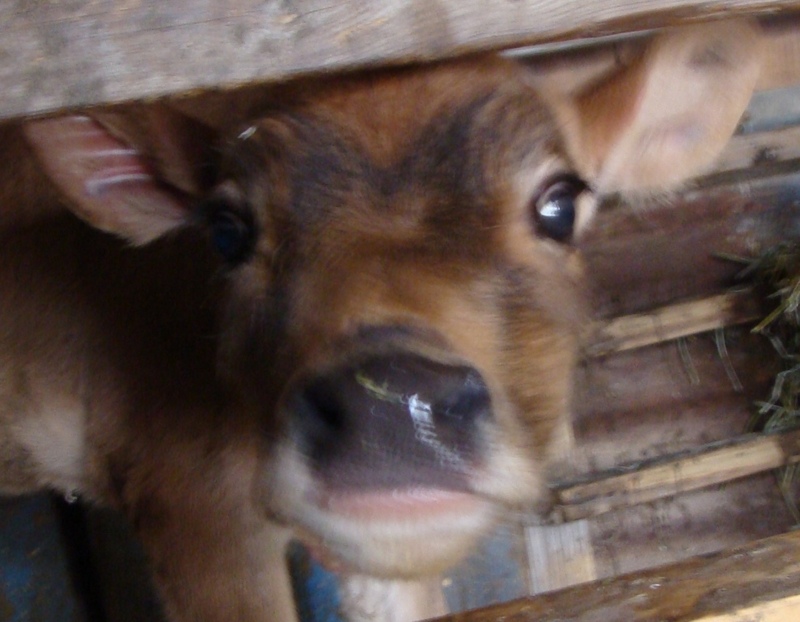 Registration papers will be transferred at the expense of Spirited Rose and will be sent with the calf. We reserve the right to change any rules about the contest or to cancel the contest completely if necessary. In reading the essays, we feel that it is important to ask if those entering the contest are willing to have their stories posted to the public. (Please note your preference in your email.) We would enjoy the opportunity to post the winning entry for others to read. Another note: We were asked if more than one person in a family can enter. YES! We have already had entries from siblings, and we encourage each individual to enter. We will be judging each person’s entry on its own merits. *** We have had some questions about where we live. We are located in MARYLAND and would be willing to deliver the animal for the cost of fuel within a 6 hour drive of us. Another option, if you win, you may ask us to sell the heifer and we will donate the money to a charity or organization of your choice! Can’t wait to hear who the winner is! I’m sure she’ll end up dearly loved, whoever wins her! We encourage you to enter! Soooo cute!!! Tell her the barns ready. Seven kids, one on the way, not to mention my mom and dad, we go through some serious milk. It’s time for amethyst to moooove in with the kestens. I really want to milk a cow! Seven kids, one on the way, not to mention our mom and dad, we go through some serius milk. It’s time for amythist to moooove in with the kestens, and I mean now! I do not envy the job that you guys have in front of you. How to pick the best essay from all of those you receive. I found this contest today, and I just sent in my essay. I’m very excited at the chance of winning Amethyst. I’m starting my essay right now. She is so precious I just want to kiss her little face! She would never have a moment alone in our home with all of these kiddos! (7) She’s a beauty! I hope we win her… we need the milk! Thank you for this contest. Your family has a BIG heart! She’s so cute! 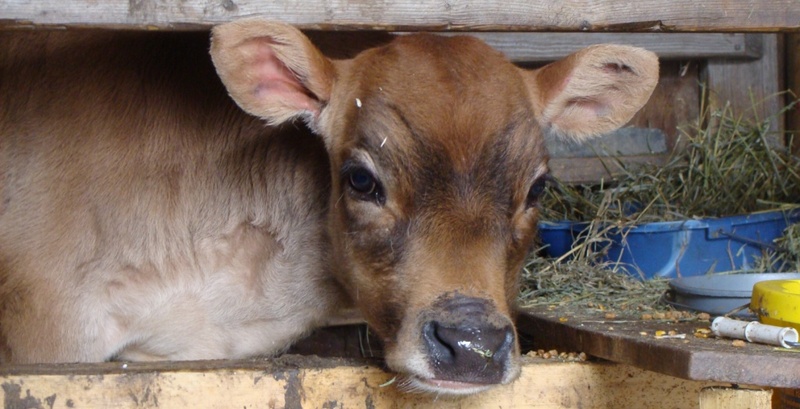 I have been wanting to get a dairy cow – we currently raise beef cattle, sheep, and goats. I want fresh milk so this would be a wonderful addition to our family and farm! I am so excited to hear about this contest! I would love a little calf to show in 4-h…. I did enter and am very anxious to read the rest of the essays. We are very new to the world of cows, but maybe I will give this a go…..
Now I’m gonna die. She’s SO cute and I dare say my husband would have a fit. 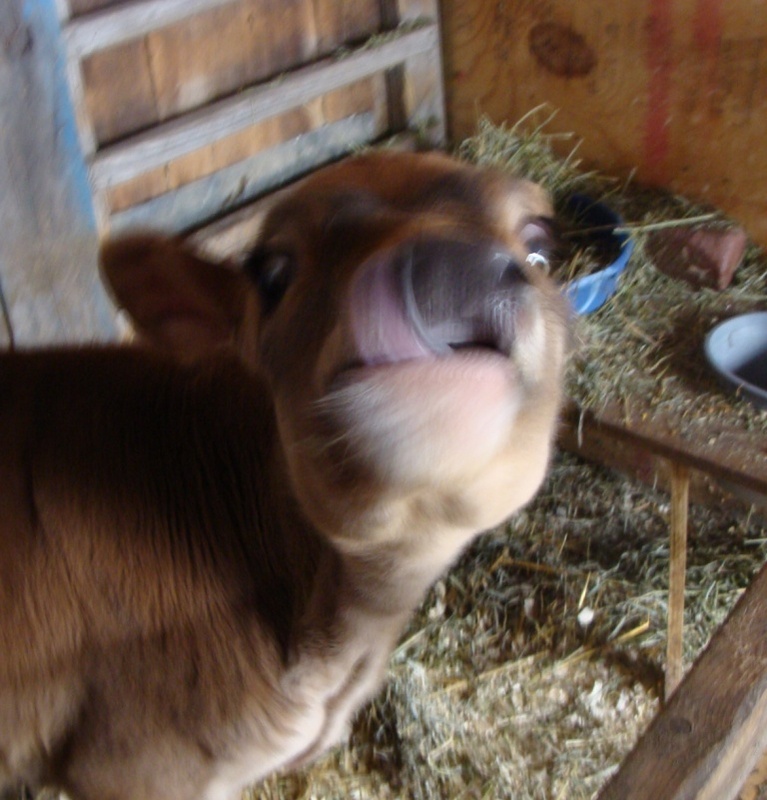 I want a little cow so bad I can already taste the milk. Sigh. This is a wonderful idea! What a way to give someone the chance of possibly winning their very first jersey!!! I can’t wait to read the winning essay! This is a wonderful idea. I would like to get my daughters to enter. They will both be starting out on their own soon and this would be a great start to their own herd. Is there any problem if two or more from the same family enter? We live in Kansas but “Grandpa” said he would help get the calf here if one of the girls won. The contest is open to any person, so each family member can enter if they would like. I have submitted my essay and am anxious to read all the other essays when you post them. Thank you for the opportunity to win this little heifer. What a nice addition she will be to anyone’s farm.